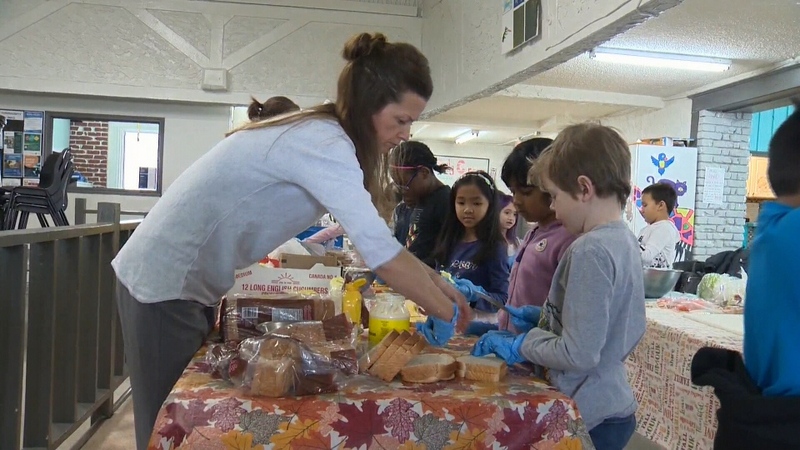 Grade 2 students from McKee School visited the Mustard Seed Tuesday, making lunches for people in need. For many students, it’s their first experience volunteering. “It feels good to help others, and it makes them happy,” said Grade 2 student Leah. As part of the annual field trip, the young students also received a tour of the facility and wrote Valentine’s Day cards for the homeless.